On March 23, the Genkai-3 Nuclear Power Plant (PWR, 1180MWe), owned and operated by the Kyushu Electric Power Co., in Genkai Town, Saga Prefecture, was restarted. It is the seventh NPP restarted under the new regulatory standards aimed at strengthening safety measures for nuclear power plants. 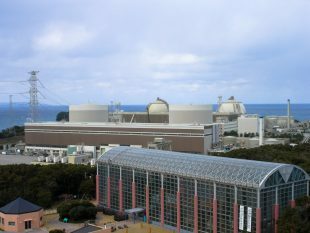 The 6th, the Ohi-3 NPP, owned and operated by the Kansai Electric Power (Kansai EP), in Ohi Town, Fukui Prefecture, was restarted on March 14. 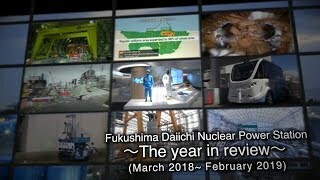 Seven years after the giant earthquake in March 2011, driven by the realities of supply and demand, Japan’s return to nuclear power is becoming clear. The Genkai-3 resumes operation after 7 years and three months. It is expected to achieve criticality tonight and connect to the grid on March 25. Mixed uranium-plutonium oxide (MOX) fuel is included in the fuel for the unit. The Genkai-4 NPP, which cleared its compatibility examination by the Nuclear Regulation Authority (NRA) along with Unit 3, is expected to be restarted in May. The Kyushu Electric Power Co. foresees a monthly improvement of JPY9 billion (USD87 million at USD1=JPY104) to its income and expenditure situation through the returns to service of Genkai-3 and -4. It will, nevertheless, maintain its current power rates for the time being and focus on improving its weakened financial situation. There are eight municipalities in three prefectures – Saga, Fukuoka and Nagasaki – within a 30 kilometer radius of the NPP site, an area for which issuance of emergency evacuation plans is required. Four of the eight have expressed their objections to the restarts, and residents had sought a temporary injunction against operation of both units. On March 20, the Saga District Court turned down the request again, as it had in June 2017. 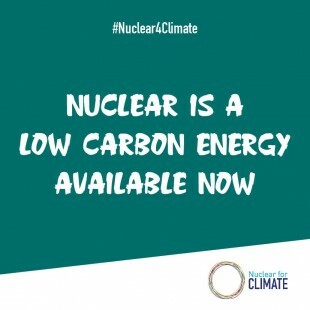 In addition to Genkai-3, the Sendai-1 and -2 NPPs, owned and operated by the Kyushu Electric Power, in Satsumasendai City, Kagoshima Prefecture, the Ikata-3 NPP, owned and operated by the Shikoku Electric Power Co., in Ikata Town, Ehime Prefecture, and the Takahama-3 and -4 NPPs, owned and operated by Kansai EP, in Takahama Town, Fukui Prefecture, have all been restarted.